Marketing is so much more than an advert, a logo or a promotional offer - all of the things which you, as a consumer, are probably very familiar with. Marketing has changed substantially in recent years and many organisations are realising its importance and the impact it has on their success and strategic direction. Marketing is no longer a luxury that organisations can do without. With this in mind, and as a result of employer and student feedback, we have created a programme which is exciting, topical and relevant to anyone who wants to pursue a career in marketing. The course provides you with knowledge of key marketing concepts and the latest marketing trends through interesting and innovative modules. We recognise that it is not just the academic qualifications that are important, which is why we work closely with local, national and international businesses, potentially your future employers, to allow you to gain experience and skills outside of the classroom. Through work experience you gain the practical, professional and transferable skills required to increase your employability when you graduate - extremely important in the increasingly demanding graduate marketplace. 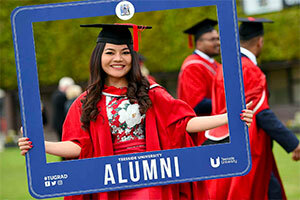 The Chartered Institute of Marketing has awarded this programme a Graduate Gateway. 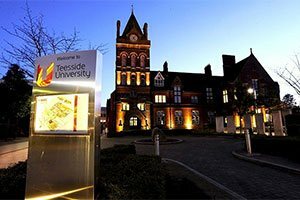 Teesside University is a Graduate Gateway partner of the Chartered Institute of Marketing (CIM) with the BA (Hons) Marketing course. You can benefit from this throughout the course and after graduation to gain professional body qualifications. The CIM is the world's largest organisation for professional marketers; with a global reputation as a centre of excellence and qualifications that are recognised worldwide. The CIM range of professional qualifications and training programmes, along with their extensive membership benefits, are all designed to support you, develop your knowledge, enable your growth and increase your network. We have worked closely with the CIM to map the content of our Marketing course against the learning outcomes of their professional qualifications, to assess where we can award exemptions. Providing you with additional opportunities and enhancing your employability further. You can do the CIM qualifications while you are studying here at Teesside or within three years of graduating (subject to qualifying criteria). Year 1 of this course provides a broad introduction to marketing and business. Year 2 allows you to develop your marketing knowledge and understanding further and to apply this knowledge and your skills to different situations. The final year integrates the knowledge and experience from years 1 and 2 which you then apply with a strong management focus. Between Year 2 and your final year you have the opportunity to spend a year in industry on placement or study abroad at one of our partner institutions. Alternatively you can proceed to the final year. The choice is yours and one which you do not need to make until your second year. You are introduced to the fundamental principles and concepts of marketing as it impacts on a changing and competitive environment. The module focuses on the fundamental theoretical principles of marketing, in addition to a range of topical issues, including advertising, public relations and retailing. In so doing, the module will expose you to areas of marketing that you may wish to study further. This module introduces you to the concepts of buyer behaviour and discusses the various actors involved in the processes and influences in the pre-purchase and post-purchase decision-making process. This will be based on consumers and organisational buyers and sellers. You also develop an understanding of the influence buyer behaviour has on marketing strategies of organisations, and have the opportunity to apply theories related to buyer behaviour and marketing practice. This module explores key branding concepts and allows for their application to sector-specific (fashion industry) examples with a view to investigating the necessary principles for effective brand marketing, including that of appropriate brand development. This module gives you an understanding of the ways in which organisations use the internet for marketing to help them achieve competitive advantage. Within this module you will develop an understanding of the ways in which the traditional marketing theories and concepts relate to the use of the internet, and questions the validity of existing models given the differences between the internet and other media. The module will describe and evaluate the emerging models for developing strategy and provide examples of the various approaches companies have used to integrate the internet into their marketing strategy. This module provides you, as a marketing student, with an understanding of the importance of event planning in a marketing role, and the implications of event planning on functional business areas. The module considers various aspects of the event planning process from an academic and practical perspective, from numerous viewpoints (planner, attendee etc) and the ways in which an organisation can stage events from idea creation through to post event evaluation. The module ensures that you understand the potential linkages between key marketing communication options and formats, including online and offline advertising, sales promotion and public relations. Building on previous concepts in marketing, such as targeting, segmentation and positioning, you will be encouraged to think about the problems faced by brand managers involved in the marketing communication industry. You will learn to apply marketing communication models and creative concepts to develop an integrated marketing communications campaign. This module extends your existing marketing knowledge and comprehension of marketing management and strategy. It is argued that successful marketing managers must have a sound understanding of the strategic choices available to them if they are to meet the demands of a rapidly changing operating environment. This module examines the degree of organisational change required for an organisation to become market driven in the face of opportunities and threats presented by external forces. Consumer behaviour and the selection of markets are also considered before placing the focus on managing the marketing mix. You will be introduced to a range of important strategic planning concepts and will consider a range of marketing strategies available to managers; this consideration will include a critical assessment of their suitability across a range of organisations and situations. You also consider the components of the marketing plan. Case studies, videos and hypothetical scenarios will be utilised to allow you to apply academic underpinning to practical situations. This module describes and evaluates the ways in which an organisation can deliver the online customer experience, and the importance of the online presence to develop and support branding and customer service objectives. The stages, including analysis of customer needs, design of the website structure and layout and creating the site will be covered. The module examines the development of supporting technologies for digital marketing and examines digital channels and their suitability for inclusion for effective integrated on and offline marketing programmes and campaigns. Search Engine Optimisation (SEO), customer acquisition and retention, display advertising, advergaming, mobile marketing, email marketing, viral marketing, online PR, affiliate marketing, social media, video and e-tailing are all explored in detail. The module will also consider ways in which digital channel performance can be monitored, evaluated and improved. 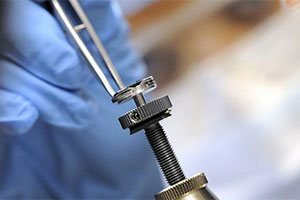 Your dissertation is based around the investigation of a topic you choose in consultation with a project supervisor, and spans one academic year. You direct your activity but a tutor supervises you and act as a consultant. You produce a written proposal and dissertation about your chosen topic which allows you to demonstrate your considerable knowledge base and theoretical understanding. Social entrepreneurs are people who combine vision, innovation and commercial skill to alternative business models aimed at making a positive difference to society. Social enterprises often fill gaps in the local economy that are of little or no interest to profit driven enterprises. Through this module you gain an understanding of the factors that influence the development of social enterprises. You study organisational structures, social auditing, managing people, volunteering, trading development, funding and networking. The module provides inspiration, skills and knowledge to successfully develop, launch, manage or support a social enterprise. Throughout the module you develop critical thought, insight and entrepreneurial spirit. Interactive workshops give you the opportunity to appreciate entrepreneurial concepts, ideas and developments through practical engagement and application. The module exposes you to the practicalities of conducting a client-sponsored marketing consultancy project, through the application of course theory to a practical real world management / marketing problems. In addition, the individual element of the module plans to promote independent learning and enquiry at a strategic level. This degree challenges you but you are guided throughout the programme by academics and student support within the School. Many of the teachers on this course are former marketing professionals and are also currently involved in marketing research. 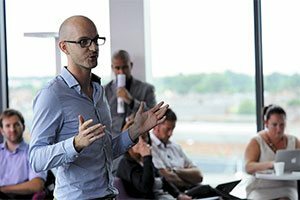 The experience of our lecturers means that you benefit from a wide range of academic, research-informed teaching and practical knowledge. Teaching and learning is through a mixture of lectures, seminars and workshops. You also hear from guest speakers and we encourage you to engage with as many businesses as possible to gain a thorough insight into the marketing discipline. You are encouraged to seek short and/or long-term placements either over the summer or as part of your third year when a year-long placement is an option (after your second year of study). You are assessed through a combination of individual written assignments, practical assessments, group or individual presentations and individual or group projects. A typical offer is 80-104 tariff points from at least two A levels (or equivalent) and GCSE grade 4 (grade C) or equivalent in English and maths. We recommend an Access course if you're a mature student. Between Year 2 and your final year you have the opportunity to spend a year in industry on placement or study abroad at one of our partner institutions. Alternatively you could proceed to the final year. This course opens up career opportunities in marketing disciplines such as brand management, advertising, digital marketing and business development. It allows you to develop skills which employers are interested in and which are relevant for their business from day one of you being employed. Through guest lectures and live projects you have lots of opportunities to engage with potential employers. You also have access to workshops and events throughout your course and extensive support to help you secure an optional year placement should this be what you choose to do. 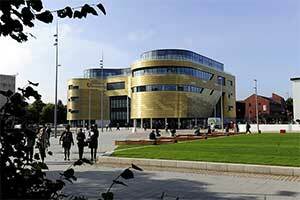 Kane is grateful to Teesside University for the opportunities which prepared him for his current job. Scarlett's degree has really helped her develop her knowledge and skills - she's now up and running with her own marketing agency.